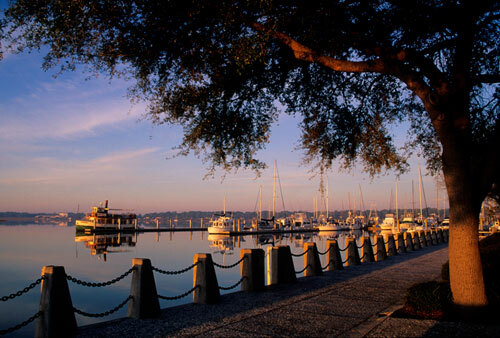 Beaufort, South Carolina is the idealistic combination of small southern-town and lively tourist haven. The city is nestled within the heart of the Sea Islands on Port Royal. It claims the county seat and has been featured in numerous publications including the New York Times and National Geographic. Beaufort is the second-oldest city in South Carolina. The city’s history lies within antebellum architecture and National Historic Landmarks. These landmarks include the Historic District, National Cemetery, Huntington Island State Park Lighthouse, and numerous plantations. All of these destinations are open to the public. Additionally, Beaufort offers a variety of heritage tours in order to immerse and educate tourists on these important local monuments. Beaufort was named a “Top 25 Small City Arts Destinations” by Southern Living. The Arts Council is responsible for maintaining arts in the community. Their mission is to spread art through exhibition, education, and implementation. Looking for a fun cultural activity? Come experience unique opportunities such as glass fusing, batiking, and basket weaving! In addition to its historical and cultural presence, Beaufort was listed as a “Top 50 Adventure Town” by National Geographic. Walk the Spanish Moss Trail or photograph dolphins from an ocean kayak. There are also various golf courses and fishing excursion opportunities. Beaufort caters Southern-style shopping and dining at its finest! The Kazoo Factory is a popular location for kids. Additionally, Olive the Above, Lulu Burgess, and the Habersham Marketplace offer unique items for purchase. If you’re hungry, check out the seafood plates at the Saltus River Grill or head down to the Boundary Street Cafe for breakfast. Beaufort, South Carolina is a rare gem of charming Southern beauty, notable history, and tourist appeal — a fundamental destination for coastal vacationers. If you’re interested in arts, culture, adventure, or just plain fun – plan a visit!